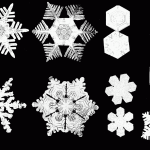 Every snowflake is different! goes the saying. This can be used to fight counterfeiting of physical objects.